Exporting your wallet's transaction history can be useful for auditing your balance, preparing for taxes, or just general bookkeeping. This article will go over how to export your entire transaction history or the transaction history for individual assets. 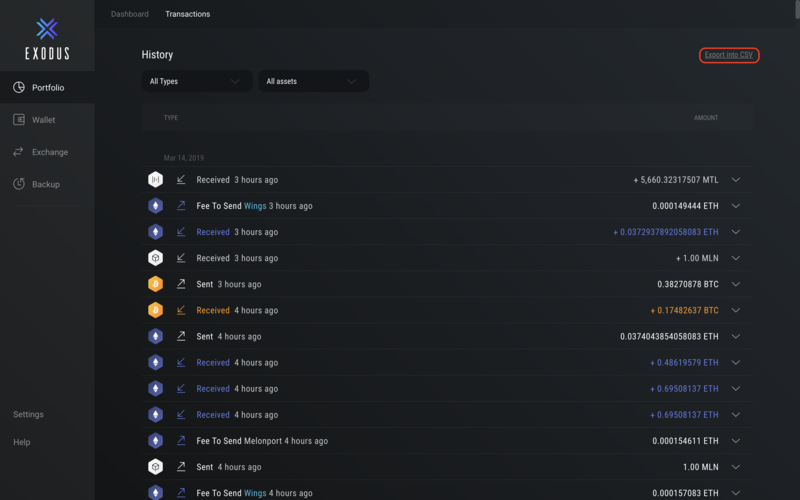 You can export your wallet's complete history from the Portfolio screen. 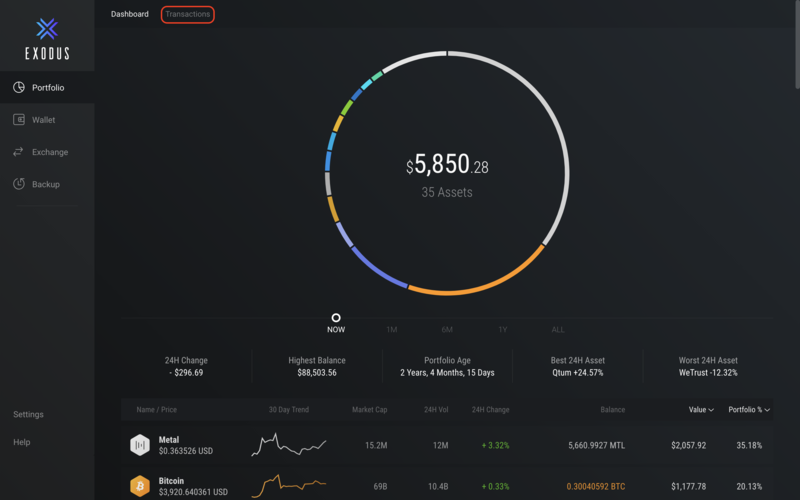 At the top of the Portfolio screen there are two options: Dashboard and Transaction. If you do not see these options, please make sure you update to the latest version of Exodus. Select Transactions to open the transactions window. To export your entire wallet transaction history, click Export into CSV. After clicking on the button, a folder named "exodus-exports" will appear on your Desktop. Open the folder to find the all-txs-.csv file. 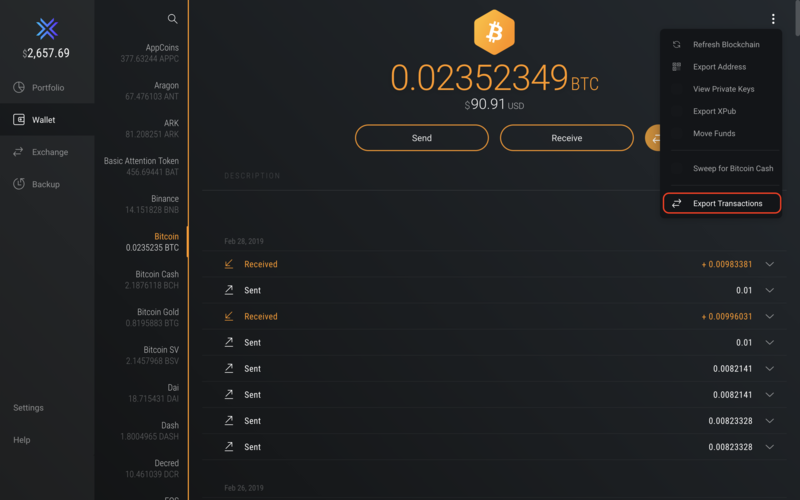 If you wish to export the transaction history for a single asset, you can do so directly from the asset's wallet by clicking the three dots in the top right-hand corner to access the asset option menu. Click Export Transactions and a folder named "exodus-exports" will appear on your Desktop. Open the folder to find the CSV file for the particular asset.